Discussion in 'Entertainment Forum' started by ArmandTamzarian, Apr 16, 2019 at 15:25. Custom AMD unit for 3D Audio, also aided by ray-tracing, a big upgrade. Spider-Man load times on PS4 Pro: 15 seconds → 0.8 seconds on next-gen PlayStation. Technically supports 8K but Cerny demoed Spider-Man load speed improvements on a 4K screen. New Virtual Reality platform strongly hinted at but also supports current PSVR (meaning millions of VR users 'day one'). Fighting the good fight in South Wales. About bloody time backwards compatibility was done properly. Day one purchase, good to see it’s backwards compatible. I did wonder if it would have came with VR ready installed but obviously not. Good to see physical media supported for another generation. I wonder what the pricing will be this time. I don’t expect it to be £350 like last time. Expecting £500 possibly especially now Jim Ryan is at the helm. Looks decent but the PS4 is the last console I'll be owning unfortunately. Best part of a new console is all the terribly photoshopped pictures of what it's going to look like. Round, transparent, weird alien like controllers, etc... and then it comes out and it's a box. I barely played mine this last 3 years. Why? I never quite got into a lot of the PS3 era but the PS4 has given me lots of fun. PSVR compatibility was one of the things I hoped for so I'm happy with that. Backwards compatibility too... Saying the right things so far. Nothing against the console itself but I find myself so busy with other things that I have such little time for gaming. Who knows though if they come out with another GTA? Then I’ll think about it. Hearing rumours this is the one. Legit source. Eeeew. Feck is going on with the buttons/sticks? That'd be weird. Haven't PS controllers also been somewhat small, especially in comparison to their competitors like Nintendo and XBox? Feck Death Stranding, Horizon Zero Dawn 2 should be the launch title. The most important thing is games, but it's still pretty brilliant about it being backwards compatible with PS4. Would be even better if it was with the PS3, PS2 and PS1 too but understandably it might be too much of an ask (especially with the PS3). 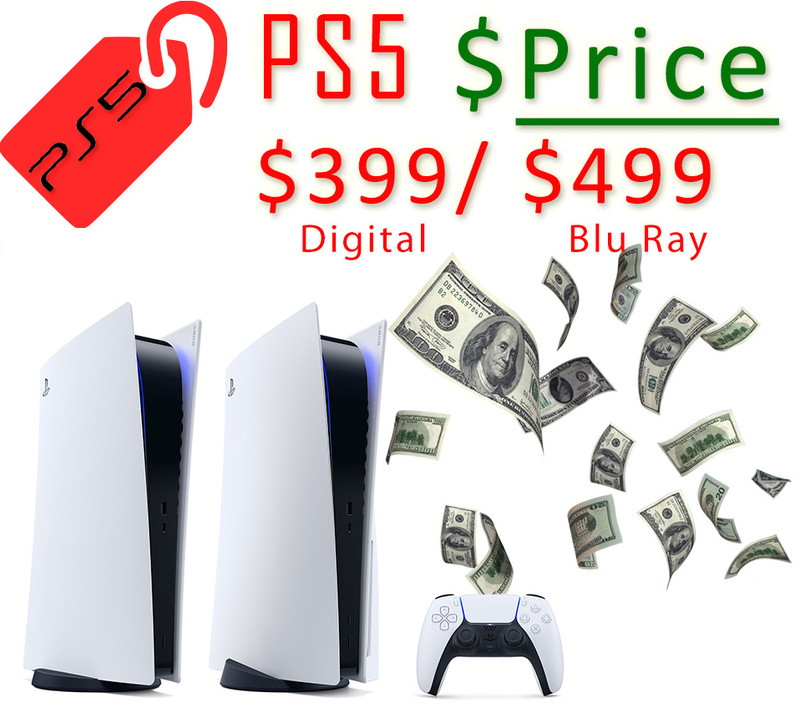 Don't want it being too expensive and suffer a poor start like the PS3. I really hope they don't focus too much on VR though. Today's technology isn't advanced enough to make it anything more than a gimmick, and I doubt it will be for quite a few years. Day one purchase, and considering that I have yet to play some of the top PS4 games, with backward compatibility I guess there will be plenty to play until the big games (TLOU2, Horizon 2 etc) get released. It incorporates the benefits of hi-fiber networking for non-local processing power, rt-superconductors and haptic holographic technology to deliver an exclusive gaming encounter. 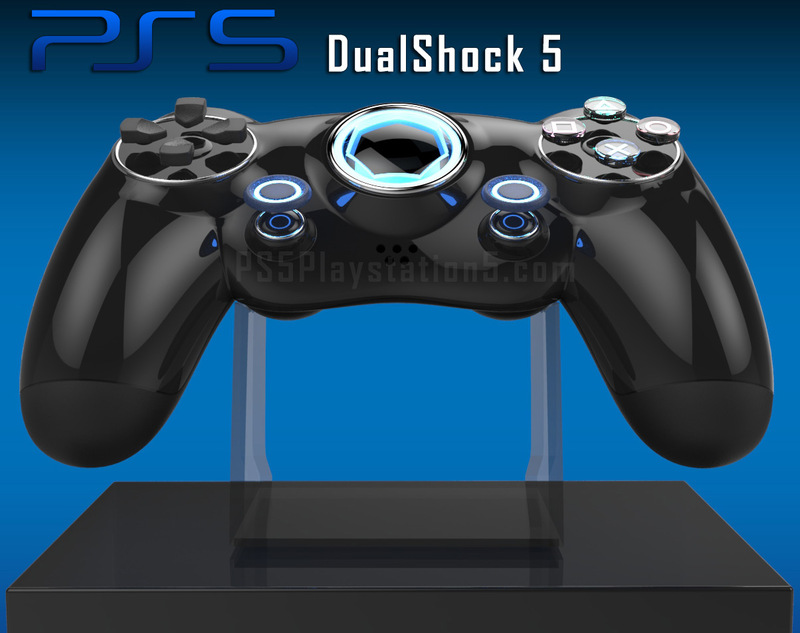 Both the console and the controller in this concept have the capacity to project holographic images, which could be manipulated via motion gestures. The key feature we’re looking at here is the holographic capability. This allows the system to notify you of friend requests, invites, and anything else via holographic images that project from the system and controller. Don't mind the first sentence but strongly disagree with your second. Whats all the raytracing talk about? What are the implications? How does it improve things? He’s right about VR though. It will always be a gimmick. It’s never going to be a main part of the console. I think it's to do with things like light reflection which gives a better sense of immersion although I doubt that's all it improves. Don’t bother. VR will be dead soon just like Kinect. By the start of next generation, Sony would have forgotten about VR and just forget it exists. @afrocentricity must have shares in Sony the way he keeps plugging it. Even @Alock1 was not this bad when it came to Kinect. Companies can try and create different ways of playing games. But ultimately gamers will stick to controllers/mouse-keyboard rather than wearing devices or moving around your living room. Yup. There's zero reason for it not to be backwards compatible if they're just going with another x86_64. Yeah, right. Zero percent chance of this. May I ask why? Even on PC there aren't any actual AAA games or companies that utilise VR technology because the technology to make it truly immersive isn't there yet. It's mainly gimmicky games that are pretty cool to experience but you'll get bored of quickly. I mean gaming as it is now works because you can just sit down, pick up a controller, play a game and chill out. I don't think people are gonna be putting on headseats and dancing around rooms after a long day of work. Like I said I'm fine with it being a side thing but I don't want them to focus so much energy towards it, or even start having established IPs having exclusive games for it. I don't want them to feel like they can mimic the success of the Wii and their motion controls with it, because they won't. As long as they don't alienate the people who don't care for VR, it's okay. If theyve been working on it for 4 years then the first 2 years of work are already outdated, think I'll go with xbox this time around. You say that, but cleaning up your keyboard after you misjudge where your rag is is a right nightmare. Even at that. I don't think I'd enjoy banging Lara Croft if it's gonna be PS2 graphics. Accept what? Why do you get defensive over it? Its called having a opinion. Still barely here, when Sony did that show last month everyone basically moaned when they started showing VR games. Just like at E3 a few years ago. Sony themselves said the growth was below expectations at a investors meeting last year, but I’m sure Afrocentrity from redcafe knows better. PS4 has sold over 92 million units and only 4m of those people have bought the VR headset. Cheers... Makes sense. I remember rendering pretty basic 3D scenes via ray tracing in the early hours in it took hours per scene so you can see why my mind was struggling with that bit of the PR. For lighting and stuff though, I get it. As I said to the other guy, there are full length games as well as those experiences you call gimmicky (which is fair). There are also AAA games out and on the way. There are seated controller operated VR games, as well as those active dance around the room games. Just realise that VR is another thing that the PS4/5 does. It's not replacing your normal flat screen gaming. Take a look at VR websites like UploadVR, VRFocus, RoadToVR and YouTube channels like Node to see where we are currently with VR. Plus all the annoying wires especially when most people nowadays are trying to get rid of wires as nearly everything is wireless. Afro for some odd reason gets defensive over it and starts digging up my posts from last year like things have improved this year. I mean if VR was really so successful as he claims where are MS and Nintendo. Even companies like Samsung would make a high end VR device if it was booming. I know they made a few low end devices for their phones that nobody barely used. It makes sense for them to support the current VR for the next console. Would be a bit of a cnutish move to just say your £300 device wont be supported considering all the PS4 VR games will. Cerny never said anything beyond that regarding it though. On the topic of VR, Valve are announcing their own VR headset in the coming months, independent of HTC. It's aimed at the real top end of the market, and expected to cost 4 figures, so while it's not going to be a consumer hit, it'll definitely give us a glimpse into the realistic future of VR on both PC & consoles. If Sony/Microsoft can take Valve's device, work on it, and deliver it as a PSVR V2 in a few years time for £400~, then we might have to reevaluate console VR as a whole. 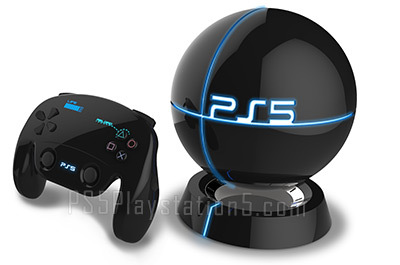 But yeah, backwards compatibility has me pretty sold on a PS5 already (as long as there's no major downsides to it). The idea of having to buy a console every few generations rather than every single time is crazy appealing, and the PS4 already has enough of a library for me to buy the PS5 to play the PS4 content, knowing the PS5 will have its own exclusives, too. (I sold my PS4 years back, so I've a lot of catching up to do). @Bojan11 You don't half talk a lot of shite when it comes to VR. Just accept that fact and move on. I think VR will only get better so it's here to stay imo. Why do you get so defensive? Accept what? Like I said below expectations according to Sony but Afro knows better. Do you have shares in a VR developer or something considering most the PSVR thread in the last 18 months or so is you bumping the thread. The sales are there to be seen. It hasn’t taken off as it was hyped to be. Before whenever a game used to be announced everyone used to ask if it will support VR. Now barely anyone cares if it has VR support.